OFFICERS IN THE MAKING When war was declared there were only 6,000 officers in the Regular Army. 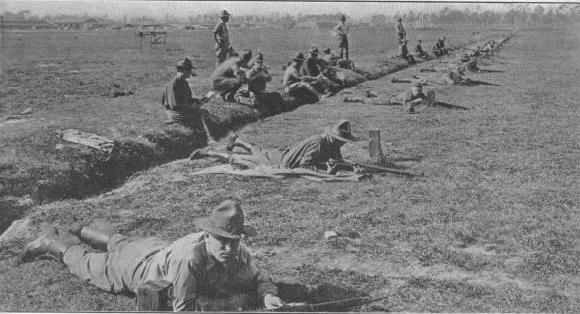 In officers' training camps it was necessary to crowd a 4-year course into a few monts so as to train 180,000 new officers for the National Army. AMERICA'S GREAT LOTTERYBy June 5, 1917, over 9,500,000 men, between 21 and 31, had registered. 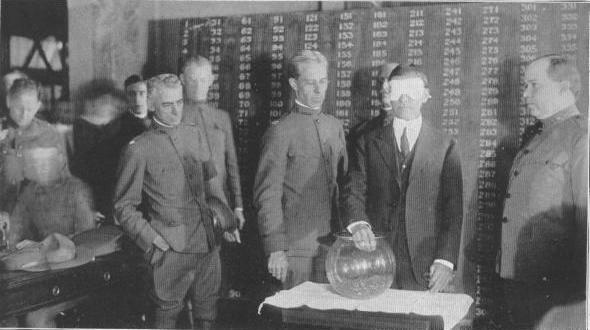 Secretary of War Baker, blindfolded, drew the first draft numbers. Not until April, 1918, however, did a National Army division leave for Europe.